Home HEALTH NEWS Kiambu advertises 217 nursing jobs, as patients’ suffering in public hospitals continue. Kiambu advertises 217 nursing jobs, as patients’ suffering in public hospitals continue. A file picture of patients being attended at Thika Level 5 Hospital. The hospital has been offering substantial services though it has also been hit by the nurses strike. Kiambu County Government has began taking disciplinary action against striking nurses by warning them to resume work in the next 10 days or risked being replaced. Consequently, in an advert in one of the national dailies yesterday, the county’s Public Service Board advertised vacancies for 217 nurses. “Kiambu Public Service Board wishes to recruit competent and qualified persons to fill the positions of nursing officer in the department of health services,” read part of this advert. It is estimated that 1,000 of the 1,200 nurses in the county have already resumed duty but are said to be on a go-slow. Those still on strike have stood their ground, saying they will not return to work until the CBA is honoured. Ag. County Health Officer Dr. Andrew Joshua Toro confirmed to starting the process of deployment of new officers to replace the striking nurses. “Yes, we have initiated the process to replace the 217 nurses who are still on strike. I am appealing to any resident who qualifies as a nurse to apply for the job. We intend to make these replacements immediately to ease the burden and the suffering of our people in public hospitals,” said Dr. Toro. More than 25,000 nurses across the country have been on strike for the past 102 days agitating for the implementation of their 2013 CBA. Their strike has paralysed operations in public health hospitals with patients being referred to private facilities which are very expensive and unaffordable to many. Some are opting for alternative methods due to the financial implication involved. 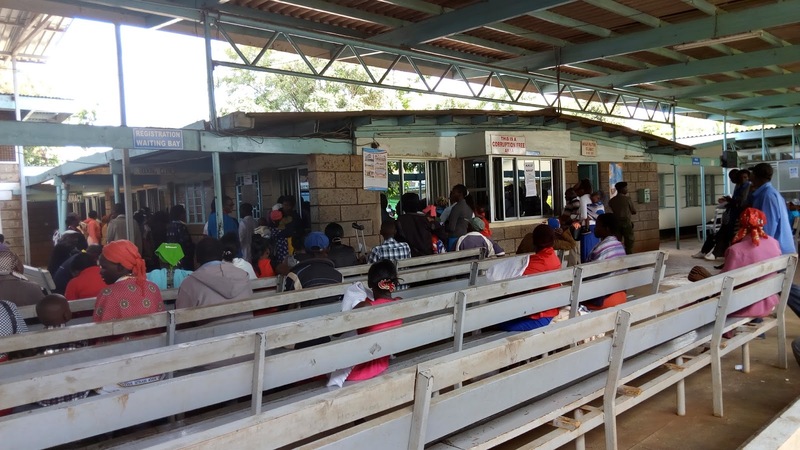 A spot check in some of the public health facilities revealed that nurses were generally attending to outpatients and the women in the maternity wing. Hospitals were reluctant to admit new patients in wards due to the enormity of the problem. Activity in wards and theatres were minimal. The CoG had ordered striking nurses to resume work by September 8 or risk being sacked. It also directed that striking nurses to be paid. CoG chairman Josephat Nanok termed the countrywide nurses’ strike illegal and pointed out that counties were free to advertise nurses’ jobs. He said there is no more room for negotiations until the striking nurses returned to work. The Kenya National Union of Nurses (KNUN) on its part has vowed to continue with the strike until their demands are met. Yesterday, the union threatened to mobilise other cadres of healthcare workers countrywide to join them in the push for their CBA from Monday next week. Secretary General Seth Panyako said KNUN will not accept the move by the Salaries and Remuneration Commission (SRC) to downgrade the nurses from professionals to non/semi-skilled employees through an informal job evaluation exercise. “We urge the SRC and Council of Governors to desist from threatening that they will sack us. We will continue with the strike until our CBA has been signed and registered in court. We will call for a meeting Monday next week and mobilise other cadres of employees in the health sector to join hands with us in pressing for better terms of service,” said Panyako. Meanwhile, The Kenya Union of Clinical Officers (KUCO) has threatened to down tools tomorrow if SRC does not release a comprehensive formal job evaluation report for the practitioners by today. In a joint press briefing by clinical officers and the Kenya National Union of Nurses at their offices in Nairobi yesterday, KUCO Secretary General George Gibore rejected SRC’s recent job evaluation which grouped them as unskilled and semi-skilled. “Going by the preliminary report, its damning to note that the SRC has totally ignored and undermined our appeal inputs and all clinical and nurses officers existing laws and policies, including scheme of services and their training, registration and licensing acts, that provides for our entry job group, qualification, job description & health act, clearly expressing malice and obscurity,” said Gibore.